JFK Tapes: A Gigantic Hoax of Which History Has Had No Parallel? 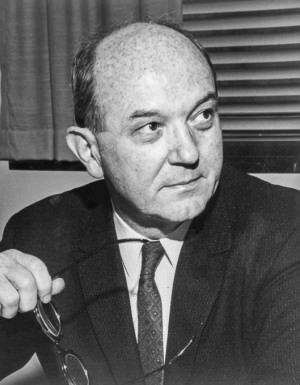 During the ExComm meeting on the morning of November 1, 1962, Secretary of State Dean Rusk spoke with Undersecretary of State George Ball by phone. Ball was in New York as part of the U.S. delegation to negotiate with the Soviets and United Nations on resolving the outstanding issues of the Cuban missile crisis. He’d called down to get the latest instructions. In this segment, he’s passing on the decision taken earlier in this ExComm meeting to send a small number of surveillance flights over Cuba later in the day as a way to verify that the Soviets were in fact beginning to dismantle the missiles sites in Cuba. During the days following Khrushchev’s promise to remove the missiles from Cuba, Rusk several times raised the prospect that it was possible it might be some kind of trick. The way to make sure it wasn’t, he and others argued, was for reliable and regular visual inspection of what was happening at the Soviet bases. Ideally, they preferred on-the-ground weapons inspections, but that needed Cuban and Soviet cooperation; in the meantime, aerial surveillance was the next best thing. Because this was recorded with the room microphones and not the Dictabelt machine, only Rusk’s side of the conversation was picked up. Dean Rusk Yeah, well George, what we’re thinking about now is something pretty much on a token basis, a sampling basis. Yeah. Without any-- but take it as easy as we can. It would nevertheless, at least test whether this is a gigantic hoax of which history has had no parallel, and also to give [Anastas] Mikoyan something to argue about. Give him some . . . a point to have in his quiver when he goes down there [to Havana]. Tape 47, Presidential Recordings Collection, President’s Office Files, John F. Kennedy Library. Excerpted from a transcript to published in David Coleman, ed., The Presidential Recordings: John F. Kennedy, volume 4 (New York: W.W. Norton, 2013).